As we gear up to start the last MAJOR e-model, I came into contact with a great company! 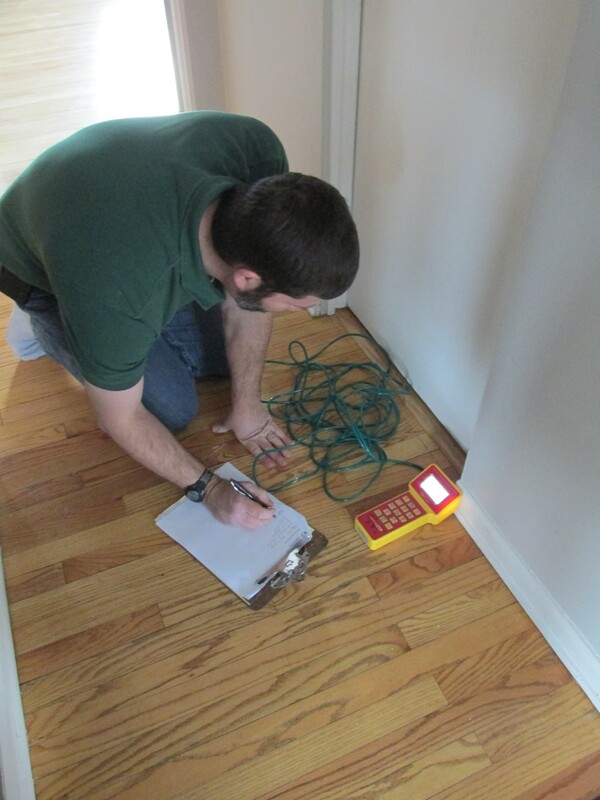 Kevin from Kinightic Energy, specializes in Energy Audits and Radon Testing. I wanted an energy audit because we are going to be taking the basement down to the studs and this includes the ceiling. While we have the opportunity with exposed ceilings and walls I’d like to try and make our home more energy efficient. 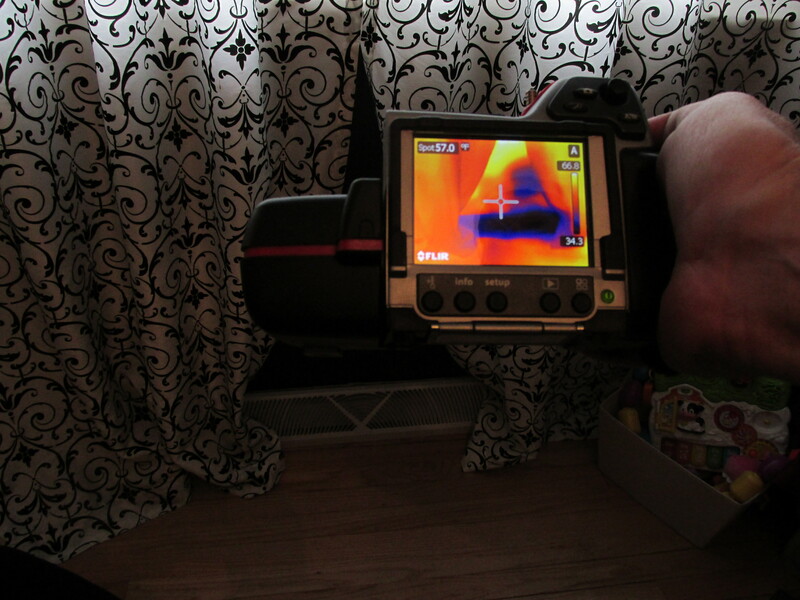 Call me a nerd, but this energy audit really fascinated me throughout the entire 3.5 hours that Kevin was there!! When we first moved in in 2010, we immediately replaced the original 55 year old windows; half of which were painted shut! In 2012 we added a R-11 valued insulated garage door and had the insulation in the attic brought up to a R-49 value. So I was excited to see what he thought of our improvements to date. Step 1: Infrared Camera: We walked around the entire house with the infrared camera to look at all of the windows, doors, ceilings, every wall and room. Step 2: Wind Simulation Fan: Kevin set-up a fan on the inside of the house to simulate wind against the house. It was like a giant vacuum in the house so we could see where all the little “holes” were. 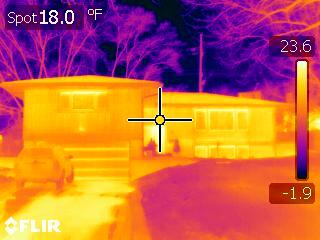 We re-walked the house with the infrared camera again to see if any new spots came up and to see what the wind did to the existing spots we found on the initial walk through. Step 3: Pressurization Test: Kevin tested the pressure in each of the rooms with vacuum still running. This showed which rooms leaked the most amount of air with the doors shut. The Master bedroom and bathroom were our worst rooms. In the master bath we need to have the damper looked at in the ventilation fan. A damper is a metal plate inside the air duct, which allows air to pass through and in our case we need to adjust the damper to allow less air through. 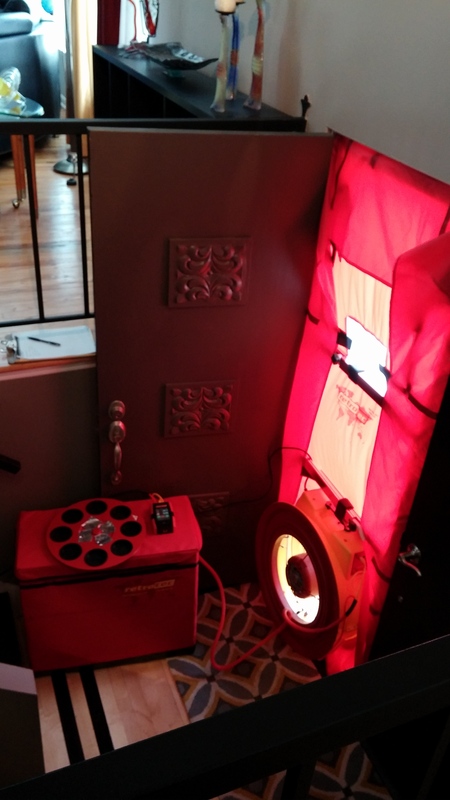 Step 4: Gas Leaks – Ventilation Test: Here we turned off the simulation fan and looked at how the house was venting. During this portion Kevin went around with the house with his meter to all of the exposed gas lines to check the air seal on the joints. 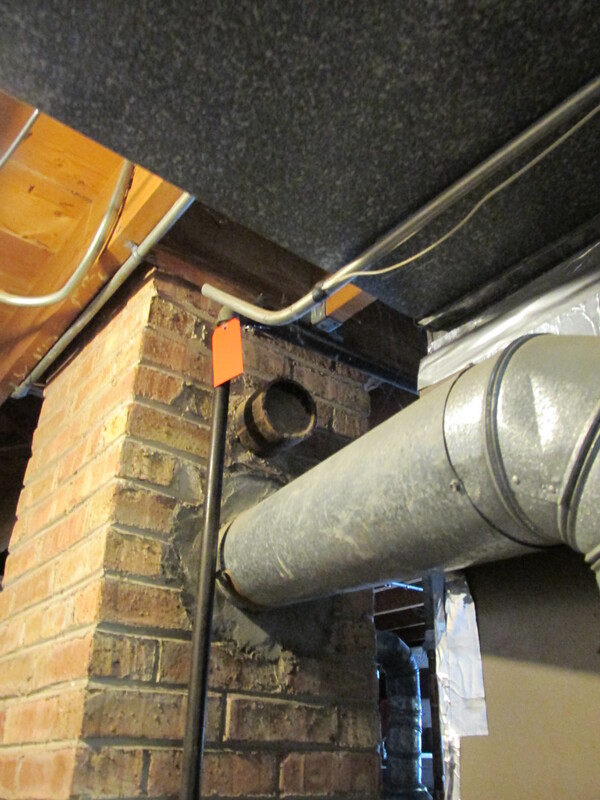 As you can see with the (2) red tags, he found a few minor gas leaks that we need to have fixed. Step 5: Combustion Test: This tested the venting ability and combustion of our major appliances. 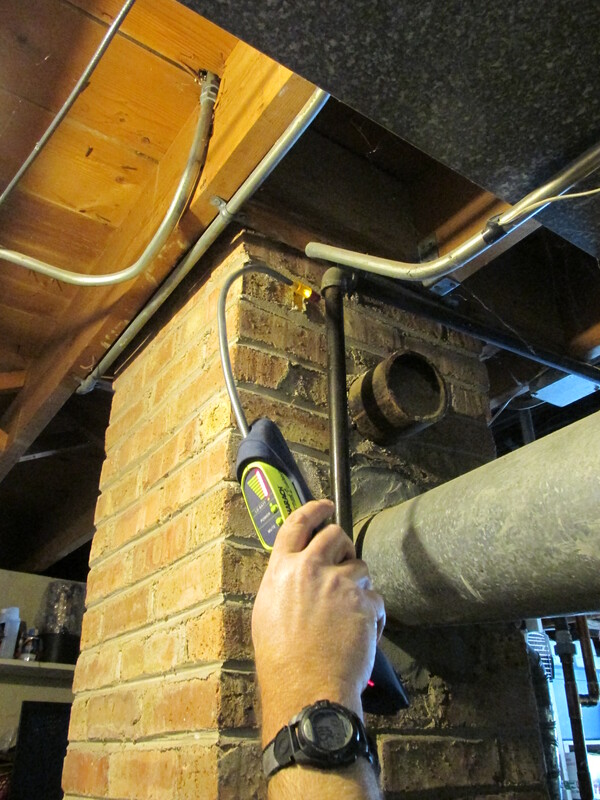 This is important to ensure your furnace and hot water tank are venting out the chimney properly and not back in to the house creating a dangerous environment for the possibility of explosion. Whew….we passed! 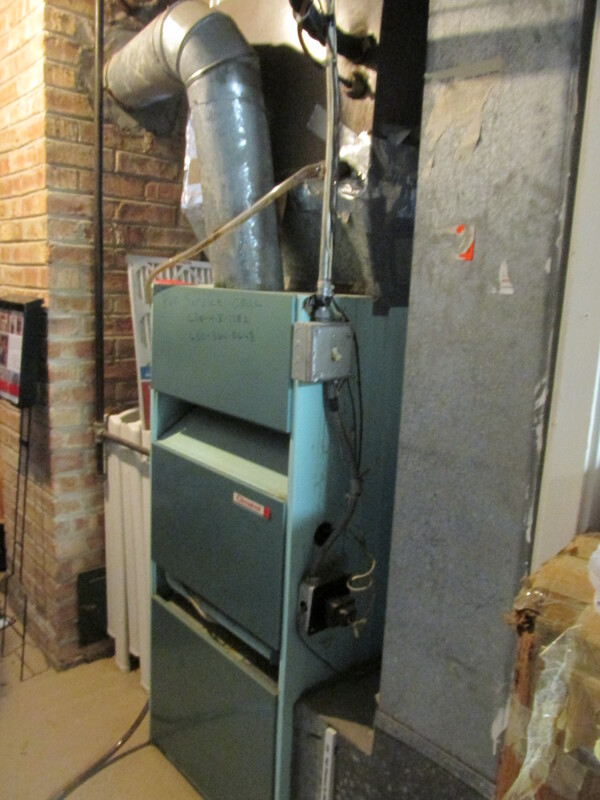 Step 6: Energy Efficiency of the Furnace: Can I just say WOOT WOOT……….OUR GIANT GREEN MACHINE IS 73% EFFICIENT?!? So we don’t know the exact age of our vintage Mueller Climatrol furnace, we do know the company who made the furnaces went out of business in the 60’s. Coincidentally, the Hub-E’s Grandpa worked for Climatrol in Milwaukee!! Either way it’s O-L-D! One of the major considerations for this upcoming e-model was a new furnace, but knowing that ours is at least 73% efficient with its awesome tape job, we may consider keeping it until is dies. We can make it run a little better by having it patched with a furnace mastic which will help the flow of air get to the rooms. 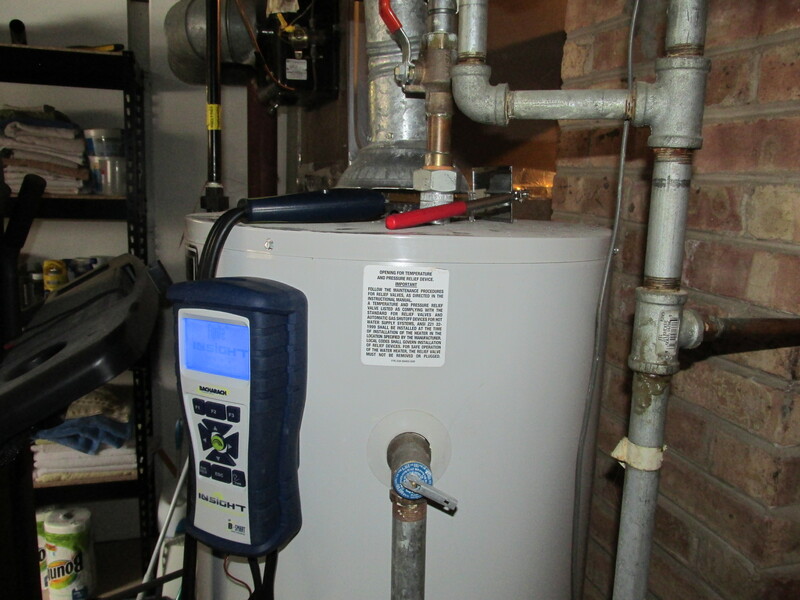 One other really funny story about this furnace, when we first had it tuned up in 2010 for the winter, the technician looked at and didn’t even know where to begin. HA, poor new guy hadn’t come across something so old! So if you’ve actually made it this far in the post, it means you were just as interested in the energy audit as I was. Super cool right?!? I will get a very detailed report with recommendations in a few weeks, but was too excited to share this experience to wait. I didn’t get paid to advertise this, but wanted to make people aware of the benefits for completing this when considering e-models, new windows, insulation, etc. Kevin was so knowledgeable and appreciated that he really took the time to explain everything to me and didn’t just come in and do the test. I loved the entire process and learned a TON about our home and how to make it a better environment! This entry was posted in Misc. Posts and tagged energy audit, kinightic energy. Bookmark the permalink. That was cool! Our house is a similar vintage and we really, really need to do somethine like this to. I can feel the cold breeze on my toes when I stand at the front door.